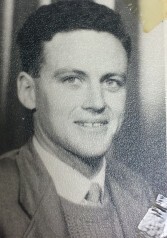 Raymond M. Thompson used his 1960 Fulbright New Zealand Graduate Student Award to complete his Master of Civil Engineering at California Institute of Technology. The idea of applying for a Travel Grant first came to mind in 1958 after a close friend had been accepted as a grantee. Since then, I have sounded the depths of paper warfare, writing seemingly hundreds of letters, filling out innumerable forms, experiencing all the ups and downs of eager anticipation, until at long last my hopes were realised and the grant was finally confirmed. Leaving New Zealand’s magnetic shores, I flew by huge jetliner to Los Angeles where I studied for a hard but wonderful year at one of the top technological universities in the United States, and on completion of studies rushed through the larger cities of the East and Midwest on a hurried five or six weeks tour before returning through San Francisco to Los Angeles and then home via Honolulu on the sunbathed maiden voyage of a majestic ocean liner. – Baked in the burning heat of the scorching California sunshine – where the temperature reached 95 degrees one day in December – winter!! – Rushed through two days in pleasant San Francisco with its pretty girls, neat white buildings and attractive appearance. I have many memories of places, of cities, of the countryside and its variations, its ordinariness and its beauty, of the freeways, the motels, the cars, the cars, the cars, of the T.V., the newspapers, of the big, new suburban shopping centres (with rather pleasant architecture, mainly in California), of the row houses (ugh! ), of the east, of the cleanliness and the dirtiness and of course, perhaps above all, my memories of people – my newfound friends, both foreign and native, and that host of faces – maybe casual acquaintainces – maybe fellow travellers or just passersby – as I travelled, or shopped, or dined, or just idly gazed – one of many in the complex structure that is the ‘Great United States’. For a New Zealander trapped in the narrow social and professional clime that is his home, any travel is refreshing and broadening, adding perspective so lacking otherwise. Additionally there is so much to be learned through travel, so much that does not exist at home – nor it even dreamed of. Yes I have many memories – some bad, mostly good, most of it very worthwhile. It was a good year, a wonderful experience.